Continuous accumulation on technologies provide Richfortune Chem a strong impetus on fast growth and provide unique answers to customer issues associated with processing, quality, and other areas to create customer value, now we have become a one-stop supplier and exporter. We always advocate “ quality first, customers first” as our operation philosophy, Welcome customers and friends from all over the world to visit us. Optical Brighteners we provide a variety of optical brighteners, which are useful to make the substrates look like whiter and brightener, they are mainly used in plastic, detergent, textile, paper, coating, ink. Antioxidants Antioxidants are subdivided into chemical families having different performance characteristics, including phenolic antioxidants, metal deactivators, amine antioxidants, phosphites, thiosynergists, and hydroxylamines, which are useful to protect lubricants, plastics, elastomers, and coatings from oxidation during high temperature processing and/or exposure to elevated temperatures during end-use. UV Absorbers we provide you benzophenone, benzotriazole, UV-absorbers and other kinds HALS, which are useful to protect the substrates from the UV-light. 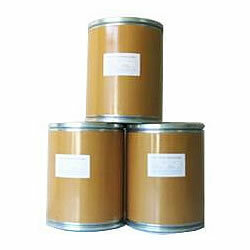 They are widely used in plastics, inks and cosmetics. Photo Initiators we provide you liquid and solid photo initiators used in UV-ink and coating with high quality and reasonable price. Fuel Oil Additives we supply Antiknocking Agent, Cetane Improver, Octane Booster, Anti-wear Agent, Antistatic Agent, Antioxidants, the Main Products cover: Ferrocene, 2-EHN, MMT, NMA, etc. Polymerization Inhibitor our products have high quality and more competitive price, they are high efficiency to avoid polymerization . Packaging: 10kgs, 200kgs, or Flexible Bag or IBC.